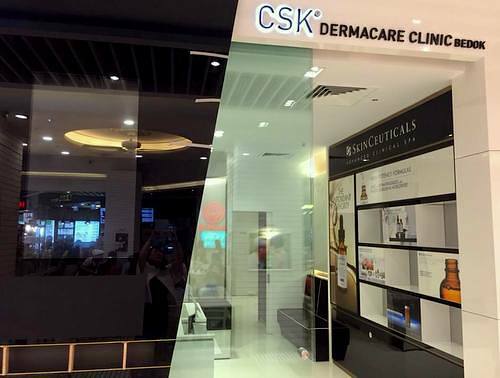 CSK Dermacare Clinic has two locations in Singapore, one at Bedok Mall (311 New Upper Changi Road) and another within Tiong Bahru Plaza (302 Tiong Bahru Rd). Operated by ClearSK Group, CSK Dermacare Clinic offers a complete suite of aesthetic solutions for your skin. The clinic’s medical-grade skin care & beauty treatments are performed by experienced doctors in a cosy spa ambience, providing high quality results in comfortable and relaxed setting. The treatment methodologies are designed by doctors, clinically tested to assure safety and effectiveness, and applied using state-of-art technology and comprehensive treatment programs that are designed to fit and effectively address your aesthetic needs. The official Facebook brand page for all of ClearSK Group’s clinics in Singapore, including CSK Dermacare Clinic, is located at www.facebook.com/cskaesthetics. Following the Facebook page, you’ll learn more about the available treatments, CSK Dermacare Clinic’s events, and more.